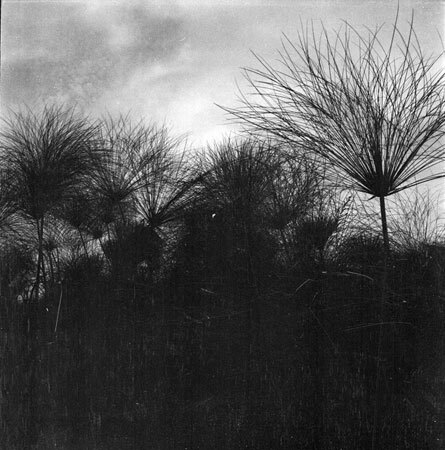 Several large heads of papyrus growing along a water course, probably in western Nuerland. Morton, Chris. "Papyrus growing in Nuerland" Southern Sudan Project (in development). 03 Jan. 2006. Pitt Rivers Museum. <http://southernsudan.prm.ox.ac.uk/details/1998.346.223/>.